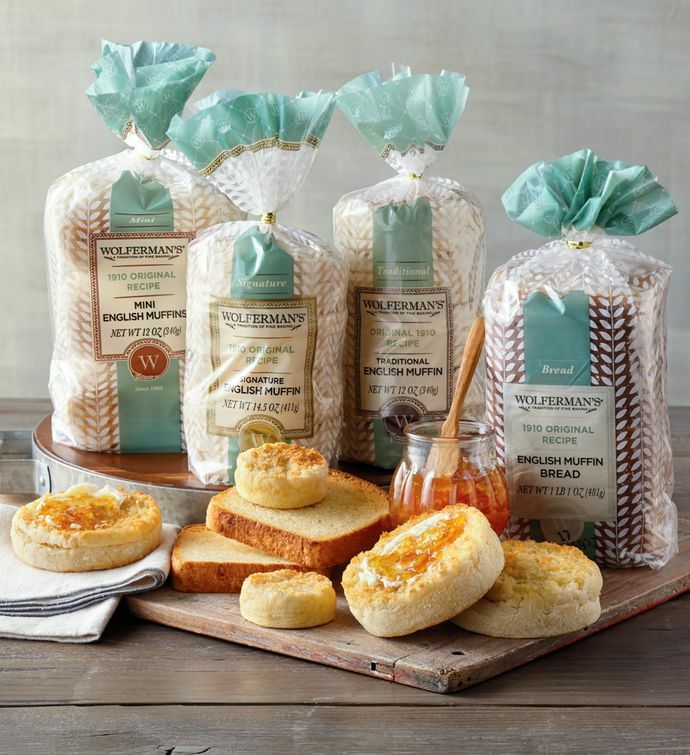 Wolferman's® English muffins were created in 1910 and to this day they're one of our most popular products. Try the flavor that's been a favorite since the beginning in four delicious ways. Our traditional English muffins are a classic favorite, mini English muffins are the perfect size for a smaller meal, our super-thick signature English muffins are nearly twice the size as any other English muffins on the shelf, and our English muffin bread has all the incredible flavor and texture of the muffins but in a pre-sliced loaf.